Daraprim is the commercial name of the molecule pyrimethamine. The mode of action of this molecule is to inhibit the enzyme responsible for the conversion of folic acid in tetrahydrofolic acid, a molecule needed to synthesise DNA and RNA in almost all living organisms. As the protozoan parasites’ and the bacteria’s enzyme responsible for this conversion is different from the human one, drugs against infectious agents commonly target this enzyme. Pyrimethamine is currently on the World Health Organization Model List of Essential Medicines. This list includes the entire basic medications required to ensure a basic health care system. Consequently, all the drugs on this list should be available everywhere in the world, including the underdeveloped countries, in order to cover the most basic health needs. It is interesting to note that the World Health Organization updates this list every two years. This drug is relatively old, as it is on the market since 1953. It has been used a lot to prevent malaria caused by the parasite Plasmodium for travellers in at-risk countries and to subsequently treat this disease. However, resistance to this drug is now widespread among the parasite responsible for the malaria disease in many countries. The resistance mechanism involves mutations in the gene responsible for the production of the enzyme that is a target for the drug. These mutations induce a modification in the enzyme and the drug is not able to recognize it anymore. As such, this drug is now not recommended for the prevention of malaria, at least in countries where resistance to pyrimethamine is widespread. Nowadays, this drug is mainly used in combination with another drug in order to treat uncomplicated malaria, especially in the case of parasites already resistant to the more common antimalarial drug chloroquine. Pyrimethamine is also used in combination with another drug to treat toxoplasmosis. Infections with Toxoplasma gondii in otherwise healthy people are mainly asymptomatic and do not usually required a treatment. However, people with weakened immune system, mainly people living with HIV, can be very sick when infected by this parasite and treatments are required for them. These patients are susceptible to take this drug on the long term, especially if their HIV infection is not well controlled. Furthermore, as congenital toxoplasmosis is susceptible to be problematic for the child in the long term, pregnant women acquiring the parasite for the first time during their pregnancy are also treated with this drug, as well as their newborn babies during the first year of their life. Even though it has firstly been intended to be an antimalarial drug, pyrimethamine is now more essential to treat toxoplasmosis than malaria. It is interesting to note that the commercially known drug Daraprim is currently in the news all across the world (in September 2015). In fact, the right for this drug has been sold a few times in the past years. Actually, this drug is not very profitable for pharmaceutical companies, as only a small proportion of the population takes it, especially since it is not recommended anymore to prevent malaria. As such, the right for this drug has been sold recently to Turing Pharmaceuticals and the company increases the price for this drug by 5,000%. As an example, in the United States, it cost $13.50 for a single tablet before the acquisition of the drug by Turing Pharmaceuticals and $750.00 after the acquisition. There were a lot of protestations all across the world, especially from the associations of people living with HIV, as many of them would not be able to afford this treatment anymore. Apparently, after the protestations, the CEO of Turing Pharmaceuticals recently announced that they are going to reduce again the price, but the new price as not been revealed yet (as of September, 24th). Click here to learn what are parasites and parasitic disease. Click here to learn about causes of parasitic diseases. Click here to learn about signs and symptoms of parasites and how you can find out if you have parasites or not. Click here to learn about diagnosis of parasitic diseases. 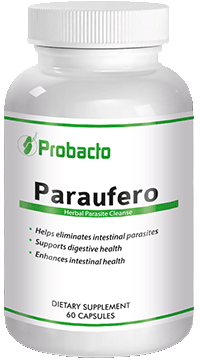 Click here to read our comprehensive guide on how to do a proper parasite cleanse and get rid of parasites once and for all. The most comprehensive parasite chart with information, pictures and detail about each parasite. Click here to check the parasite chart. Click here and learn how to prevent from getting parasites. Visit our Parasites FAQ page to find additional questions, answers and articles related to parasites.